“EBS Universität für Wirtschaft und Recht“ is a private, state-recognized university with a business school campus in Oestrich-Winkel and a law school campus in Wiesbaden, Germany. Currently, EBS hosts 2,300 students and doctoral candidates at its two schools. EBS’ more than 300 employees aim to develop responsible and conscientious decision-makers and support students in their personal development. EBS nurtures excellence in research and teaching, has a strong stakeholder network and emphasizes its international focus. Through professional training programs EBS aims to provide life-long learning for students, executives and management specialists. We are part of SRH Higher Education, a leading private owner of universities and higher education institutions with a total of 13,000 students. 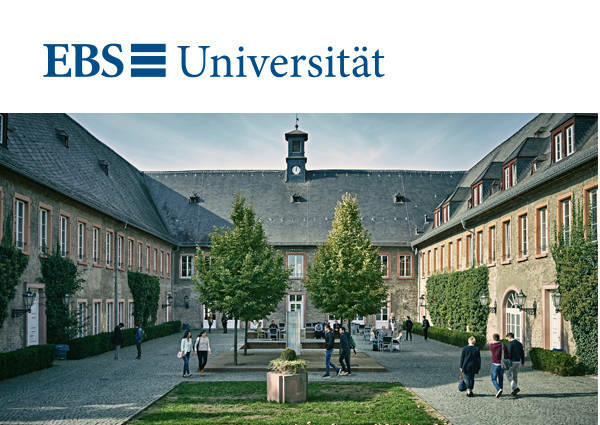 At EBS Business School, the Department of Finance, Accounting, Controlling & Taxation (FACT) invites international applications for a full-time Senior (full) Professorship f/m in Business Administration and Financial Accounting. We offer you an international, dynamic, interactive and team-oriented work environment and the opportunity to engage with both academic colleagues and business stakeholders. Successful candidates will be invited to our business school campus in the Rheingau region – also referred to colloquially as the Greater Frankfurt Area, Germany. Please forward your cover letter, CV, samples of published research and/or working papers and relevant evidence of teaching excellence. In addition, we ask you to provide brief position statements on your current research focus and your teaching concept. Where relevant please relate both to the outline of our current BSc, MSc and MBA programs, and please do offer your individual perspective on future ways of relating Accounting, Management Control and Taxation in teaching and research. This advertisement remains open until the position is filled.